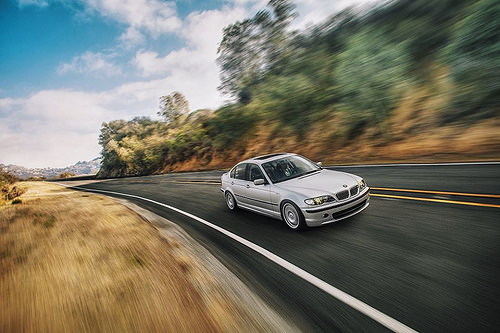 You want full reliability for your BMW E46 323i 323ci 328i 328ci 325i 325ci 325i 330i 330ci? I've compiled a list of parts that based on my experience are known to leave you stranded. If your car is over 10 years old or has more than 100,000 miles on it, then there's a fairly good chance these will leave you stranded. Good news is that these are cheap and easy to replace. Replace them and easily get another 10 years and 100,000+ miles out of your car. Trouble free operation. Nothing worse than being stranded especially with your kids or your wife in the car. This is by far the most important part of the list! Every 5 years or so, your battery's ability to hold charge. If your battery is five years old or older, or you don't know - replace it. This will cost between $90 and $200. Try Autozone, Walmart, Costco, etc. Make sure the battery you purchase comes w/ a vent tube kit. This item is best bought in person. Sorry no online link to it. (your car may require a oval/round plug regulator.) Usually it's 04+ cars that require this. Check your connector to be sure if it's rectangle or rounded. How does the voltage regulator go bad? You may suddenly get a battery light while driving down the road one day. It may flicker or stay on. Either way, your voltage regulator is toast. The brushes that make contact with the alternator have worn down. If you have a Valeo alternator, it makes sense to just replace the entire alternator as replacing just the voltage regulator is around $150. You will have to look with your eyes to see which voltage regulator you need. Final Stage Resistor - Only $40! Bring your registration and driver's license to the local BMW dealer. Order a new key. They've been known to fail (though rarely) and all the new parts in the world won't mean anything with a busted key. Plus a new one looks so nice. Expect to pay around $160-200. These can sometimes go bad on BMWs. Intermittent electrical errors when you turn the key. Wonky dashlights when you turn the key or while driving. Fuel Pump - MAJOR FAILURE ITEM!!! DME compartment. Remove cover, clean/vacuum/condition seal w/ gummipflege . Inspect for any leaves, dirt, or debris or anything weird with the wires. Never know what previous owner junked up the wires doing teenager angel eye wiring! Make sure any splices or cuts are properly joined/repaired, well protected, and insulated. Inspect all wiring harnesses and plugs for damage or exposure. Re-wrap any exposed wiring harnesses with new loom if the loom has broken off or disintegrated. Remove all sensors and clean with electrical contact cleaner then apply dielectric grease to the pins/contacts. Links, part #s, prices subject to change. Check your particular car and requirement for your particular needs. Always hire a professional to do work. This goes for every page and link on this site. If you decide to perform work yourself, always work safely using appropriate safety equipment and procedures.